Wow is it really only Tuesday?! I am absolutely shattered! I suppose part of it is still not feeling 100% and work all day but still, can't believe its only Tuesday! I flaked out yesterday but I wanted to share a card we made at card club this past month with the Mosaic Madness stamp set. I will be sure to share some more over the next few weeks as I just realised I have a huge bunch of projects made with this gorgeous set but haven't really shared any with you yet! What a pity! When I was searching for ideas of different ways to use the Mosaic Madness set I came across the idea of using it as a flower. Doesn't it just look fab?! I really like the bright punchy colours of the flower against the muted background - really makes the flower stand out! I was also trying to keep in mind to use the border stamps in the set and thought it'd work nicely as a little pattern and texture for the background. I used the stamping off technique to get some different shades. 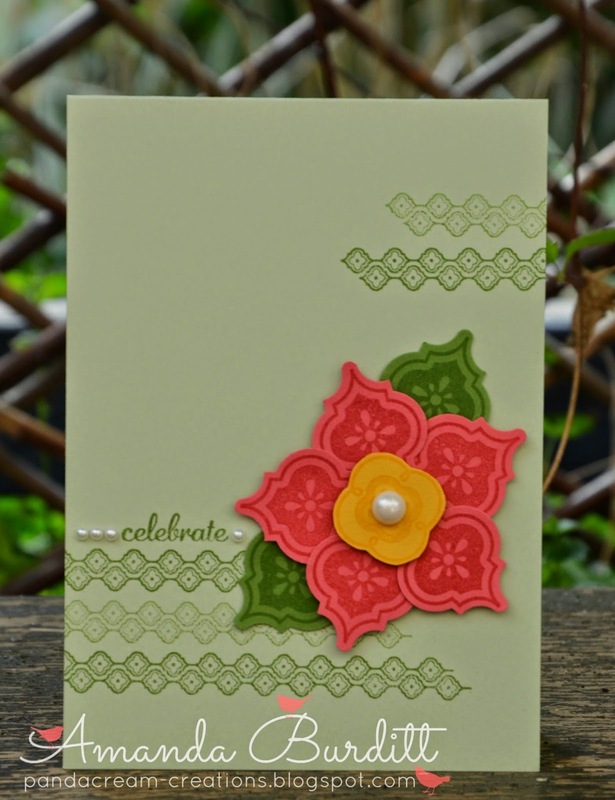 Also by staggering the length of the borders across the page it helps to add a little movement and flow to the card. And of course there's just a few pearls for a finishing touch! I've got some training sessions tomorrow so I need to shower and get to bed so I'm awake enough for it. Hope you enjoyed this super speedy post. 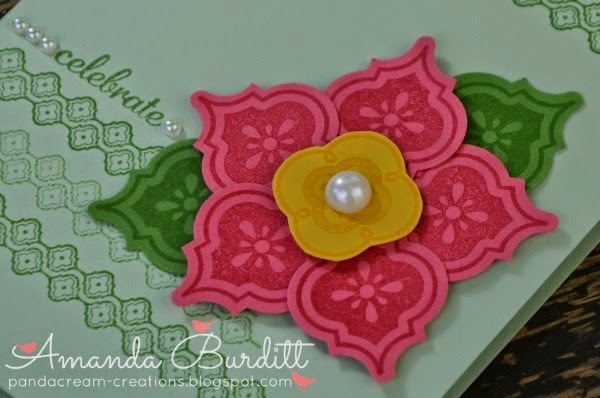 I'm hoping to have some more time and energy to get into the craft room tomorrow and get making some more pretties.